Germany's HSH Nordbank, once the world's biggest ship financier, aims to buy shipping loans from other banks and make new investments in the industry as it emerges from years of turmoil, a top bank official said.The bank's regional government owners are selling the lender to buyout groups Cerberus Capital Management and J.C. Flowers, with investors GoldenTree, Centaurus Capital and Austrian bank BAWAG also taking stakes. "HSH, at the end of this process of privatization, will for the first time since 2008 be restored. Germany's HSH Nordbank, formerly the world's largest ship financier, is being sold to private equity firms as it emerges from crippling writedowns and state bailouts amid the deepest sector slump on record. The bank's state owners on Wednesday said that they sealed the sale to a consortium of buyout groups Cerberus and J.C. Flowers, with investors Goldentree, Centaurus and Austrian bank BAWAG also taking stakes. The purchase price for 94.9 percent of HSH is roughly 1 billion euros ($1.22 billion), they said. HSH Nordbank will provide the investor BlackRock with a long-term loan amounting to about € 31 million to refinance the Brotorp wind farm in southern Sweden. The farm with 14 Vestas 126 type wind turbines and a total capacity of 46.2 megawatts (MW) has been in operation since December 2015. With US$ 6.29 trillion in assets under management (as of 31/12/2017), BlackRock is the world's largest independent asset manager. HSH Nordbank has previously already completed numerous transactions in the photovoltaics business with this investor. Dutch shipowner and manager JR Shipping has succeeded in involving a credit investment fund in London in the refinancing of JR Fleet Fund CV – a shipping fund which has financed eleven container feeders belonging to the shipping company’s fleet. Under the auspices of the shipping company, the British financier has taken over more than EURO 126 million (USD151 million) loan/debt from German HSH Nordbank. On 5 December 2017, the bank’s Executive Board gave its approval; the closing took place on 15 December. HSH Nordbank AG's subsidiary Godan GmbH, the controlling unitholder of First Ship Lease Trust (FSL Trust), is looking to divest all its shares in FSL Holdings, the sponsor of the trust, reported Business Times. The report quoted FSL Trust as saying that Godan GMBH is in discussion with shortlisted strategic investors for a potential sale of all of its shares in FSL Holdings. FSL Holdings also owns all shares of the trustee-manager of FSL Trust through FSL Asset Management Pte Ltd.
HSH syndicate, comprising HSH Nordbank and DBS Bank, has approved the sale of the remaining nine of 14 vessels of Singapore-based Rickmers Trust Management for some $54 million to Navios Partners Containers and Navios Partners Containers Finance. 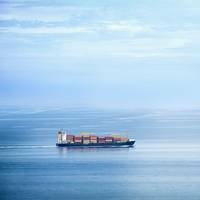 The total consideration will also include an amount to support settlement of operational cash deficits to closing, said Rickmers Trust Management in an update on the winding up of Rickmers Maritime. The sales of these nine vessels are expected to be completed in parts from July 12, 2017, Rickmers said. German shipping group Rickmers said it would file for insolvency after bondholder HSH Nordbank rejected its restructuring plan a day ahead of a last-ditch bondholders' meeting. 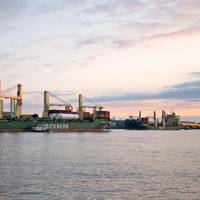 Rickmers had proposed a revamp plan under which the equity stake of owner Bertram Rickmers was to be reduced to 24.9 percent, while bondholders, HSH Nordbank and potentially another bank would hold 75.1 percent. But HSH "highly surprisingly" rejected that plan, Rickmers said in a statement on Wednesday. "According to the assessment of the management board and supervisory board of Rickmers Holding AG the positive going concern prognosis of Rickmers Holding AG does therefore no longer apply," it said, adding its management board would file for insolvency without undue delay. Only 17.4 percent of Rickmers' bondholders took part in a vote on the company's restructuring plan on Wednesday, fewer than the minimum required. Under the proposed revamp plan, the equity stake of owner Bertram Rickmers would be reduced to 24.9 percent from 100 percent. 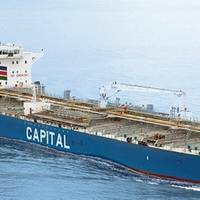 Company struggled with debt in wake of shipping downturn. Debt includes over $270 mln in secured loans. 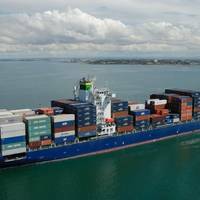 Rickmers Maritime, a Singapore-listed trust that operates container ships, said it would be wound up as it has been unable to reach an agreement with its lenders to restructure debt or raise new equity. Struggling in the wake of a global shipping downturn, Rickmers joins other Singapore-listed companies from the offshore and marine sectors that have been grappling with debt in the last year. The collapsing maritime shipping industry is stoking another European banking headache, this time in economic powerhouse Germany, says a report in WSJ. While the Commerzbank, Germany’s second largest bank, reported earnings, warned that its losses on shipping loans could be as high as EUR600 million ($641 million) this year after nearly doubling last year to EUR559 million. Stephan Engels, Commerzbank’s chief financial officer (CFO) admitted that there was little immediate prospect of recovery. Singapore-based Rickmers Trust Management (RTM), a trustee-manager of Rickmers Maritime, is selling off a new ship from its fleet to ensure the company stays afloat. This means an impairment loss in the fourth quarter 2016. Rickmers has entered into a memorandum of agreement (MOA) for the sale of Kaethe C. Rickmers, a Panamax containership. The vessel is securing senior loan facilities extended by HSH Nordbank AG, Singapore Branch and DBS Bank (the HSH Syndicate) to the trust (the HSH Facility). German banks are still struggling with bad loans from exposure to the shipping industry, reports DW. The banks are struggling to recoup tens of billions of dollars of loans as a global shipping industry slump hits them hard. A report published on Sunday by German public broadcaster ARD has suggested that the northern German states of Hamburg and Schleswig-Holstein may have to offer up to 20 billion euros ($21.4 billion) in credit guarantees to prop up banks with bad investments in container shipping. German shipping finance provider is optimistic about the prospects of finding a potential buyer for the bank, which will begin a privatization process this year with a deadline in February 2018, says a report in Reuters. "Despite the difficult market environment, we have very good prospects of selling the bank," the report quoted Oliver Gatzke as telling Boersen Zeitung newspaper. 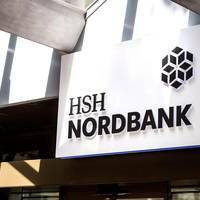 HSH Nordbank met potential buyers in London in November ahead of the German lender's planned privatisation this year, people close to the matter told Reuters. HSH's owners - the northern German states of Schleswig-Holstein and Hamburg jointly hold 85 percent - have to privatise the bank by the end of February 2018 and have mandated Citi to organise the process, due to start in early 2017. HSH Nordbank is pushing ahead with the upcoming change of ownership; it is putting on a good performance in the Core Bank supported above all by the real estate and corporate clients businesses and is continuing its systematic cost-cutting course. In the words of HSH Nordbank's CEO Stefan Ermisch, the Bank is still expecting a profit for the year as a whole despite the unabatedly difficult situation on the shipping markets and is preparing for the impending change of ownership. "HSH Nordbank is showing an encouraging performance in all business areas of the Core Bank. Three containerships of the bankrupt Korean shipping firm Hanjin Shipping were sold at an auction in Rotterdam for a total of USD 392 million, according to Dutch media fd.nl and Nieuwsblad Transport. 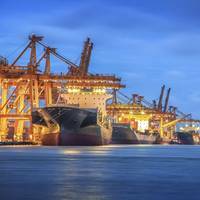 The 13,000 TEU ships were auctioned on behalf of creditor HSH Nordbank. The three vessels in question are Hanjin Europe, Hanjin Africa and Hanjin Harmony, built in 2012 and 2013, respectively. The 4th ship, the Hanjin Gold, is expected to be auctioned off by a Rotterdam court in January 2017. Bank of Ireland said it is winding down its shipping business, joining other banks looking to cut non-core lending and exposure to an industry suffering its worst downturn. Many European banks are already bogged down by a sluggish economy and face tough capital demands from regulators which are eroding profitability, leaving many looking for ways to shore up their balance sheets. Parts of the shipping industry are suffering their deepest ever downturn as international trade slows. 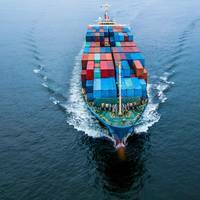 Around 90 percent of world trade is transported by sea. "As previously stated, Bank of Ireland no longer lends within the shipping finance sector and we have been winding down the portfolio," the bank, Ireland's largest by assets, told Reuters on Tuesday.